July 5 2017. 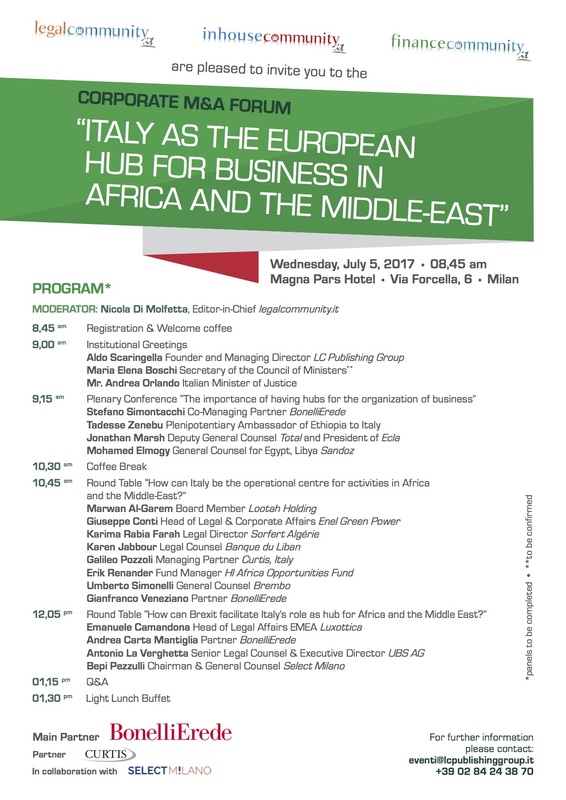 Kickoff of the event ‘Milano Legal Week’ organized by Legalcommunity. Select Milano partner of the thematic week. In the plenary session, after the institutional greetings, some speakers will be required to make a speech on “the importance of having hubs for the organization of business”. The presence of a geographic area that represents a bridge between marketplaces is becoming more and more strategic for players such as corporations, banks, services companies in terms of development and growth. After the coffee break, the panelists will participate to the talkshow. 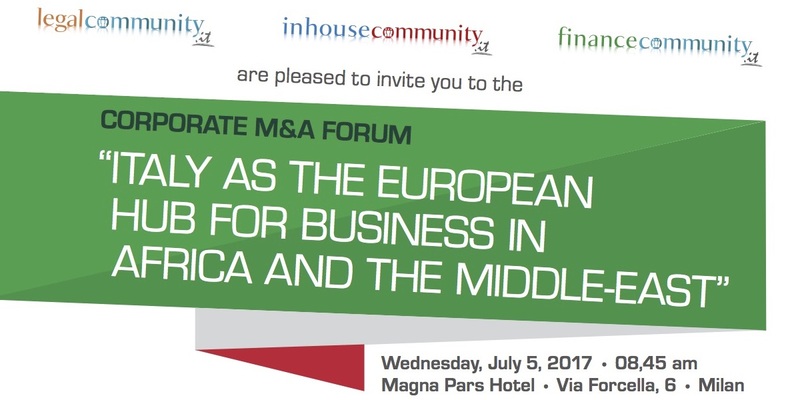 The first round table will be focused on Italy: “How can Italy be the operational base for activities in Africa and the Middle-East? We will try to reflect on regulatory, logistics, bureaucracy, tax authority infrastructures and on the culture of the country so to understand whether Italy is ready or not to play this role.